Below is a snapshot of the Web page as it appeared on 20/04/2019 (the last time our crawler visited it). This is the version of the page that was used for ranking your search results. The page may have changed since we last cached it. To see what might have changed (without the highlights), go to the current page. To be published December 4, 2018. There’s nothing more telling than a story . . .
On a dark midwinter’s night in an ancient inn on the river Thames, an extraordinary event takes place. The regulars are telling stories to while away the dark hours, when the door bursts open on a grievously wounded stranger. In his arms is the lifeless body of a small child. Hours later, the girl stirs, takes a breath, and returns to life. Is it a miracle? Is it magic? Or can science provide an explanation? These questions have many answers, some of them quite dark indeed. Three families are keen to claim her. A wealthy young mother knows the girl is her kidnapped daughter, missing for two years. A farming family, reeling from the discovery of their son’s secret liaison, stand ready to welcome their granddaughter. The parson’s housekeeper, humble and isolated, sees in the child the image of her younger sister. But the return of a lost child is not without complications and no matter how heartbreaking the past losses, no matter how precious the child herself, this girl cannot be everyone’s. Each family has mysteries of its own, and many secrets must be revealed before the girl’s identity can be known. 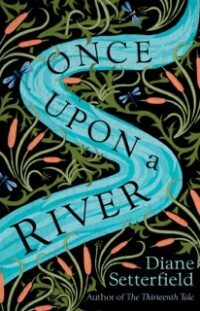 Once Upon a River is a glorious tapestry of a book that combines folklore and science, magic and myth. 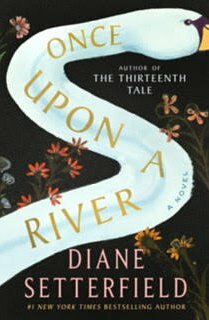 Suspenseful, romantic, and richly atmospheric, the beginning of this novel will sweep readers away on a powerful current of storytelling, transporting them through worlds both real and imagined, to the triumphant conclusion whose depths will continue to give up their treasures long after the last page is turned.